To Land Rover drivers, challenging conditions aren’t a problem, they’re an opportunity to rise above. To shine. To demonstrate the power of human ingenuity and design. If you’re looking for a compact SUV that can deliver big results in every department, choose the Land Rover Discovery Sport. 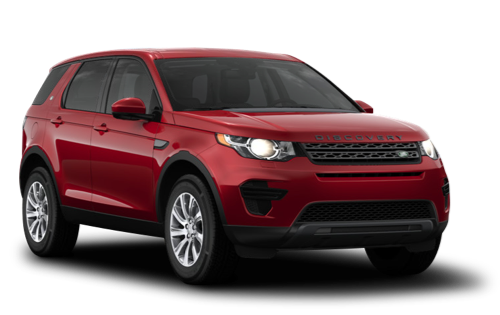 If you’re searching for a Land Rover Discovery Sport near Mississauga, make Land Rover of Toronto your first and only stop. Discover everything there is to know about the dealership that’s as remarkable as the vehicles in the inventory and drive away happy. At Land Rover Toronto, we’re proud to maintain an incredible inventory of Discovery Sport models, each with the cool features and convenient technology that help take your everyday adventures to new elevations. Our expert sales team prides itself on providing an unforgettable dealership experience, so you can be sure that you’ll be matched with the Discovery Sport model that suits you in every way. Ready to get into the driver’s seat of a Land Rover Discovery Sport near Mississauga, and explore the wonderful opportunities that await on the road ahead? Visit Land Rover of Toronto today. You can find us at 777 Dundas Street E in Toronto, ON, or feel free to give us a call at 416-530-1880. Enjoy complimentary valet parking when you visit our dealership. We always strive to provide a Land Rover dealership experience that goes beyond your expectations. Visit us near Mississauga today! Put your Land Rover Discovery Sport through its paces with an at-home test drive. In the Land Rover Discovery Sport, there’s always room for more. More friends, more cargo, more fun! This stunning compact SUV is big on storage space, offering an expansive 1,124 litres of cargo carrying capacity with the four-seat configuration. If you plan on carrying a larger crew, the 5 + 2 seating option allows you to accommodate everyone in style. The sliding second row gives passengers plenty of room to stretch out. Go ahead, bring it all with you, in the Discovery Sport. Land Rover SUVs are known for their staggering cargo capacities. However, the Discovery Sport is also perfect for towing the bigger toys. With a towing capacity of up to 2,500 kg (5,512 lbs), you’ll have all the pulling power you need. The Discovery Sport also provides the tools to tow like a pro, with a comprehensive suite of Trailer Stability Assist technologies. Drive with confidence, no matter where your road takes you, in the Land Rover Discovery Sport. The Land Rover Discovery Sport doesn’t just turn heads. It causes people to stop and stare. A bold road presence and angular lines make this compact SUV a true standout on the streets, inspiring confidence wherever it goes. The Discovery Sport’s great looks continue into the cabin, where premium materials exude a sense of refined elegance. A driver-centric design keeps everything within easy reach, and makes the interior of the Discovery Sport a very nice place to be. At the heart of the Land Rover Discovery Sport, a true powerhouse redefines the meaning of the word “go.” The 2.0 litre Ingenium Si4 variant engine spins out a trailblazing 237 horsepower, which is more than enough power to put the “whoa” back into your commute. For even more breathtaking performance, choose the 286 horsepower option. An efficient Automatic Transmission comes standard on all Discovery Sport powertrain options, delivering a premium ride and unsurpassed efficiency. Find yours at Land Rover Toronto today!